Removing urine odors, whether caused by animals or small children, can seem like a difficult task, especially with so many products on the market made for household cleaning and odor removal. However, regular household bleach, when used correctly, is an effective and inexpensive solution for removing urine odors from recent accidents or lingering odors on certain kinds of floors (not carpet or hardwood). While bleach is safe to use in your home, always use it in a well-ventilated area, where pets and family members won't be exposed. Use bleach only in a well-ventilated area. Put a layer of newspaper on top of urine stains. Cover the newspaper with a layer of paper towels, followed by another single layer of newspaper. Stand on top of the newspaper and paper towels to aid in the urine absorption process. After five minutes, discard the newspaper and paper towels. Cover the area with a heavy layer of baking soda to further dry the area. Baking soda will also begin to remove the initial urine smell. Allow the baking soda to cover the area for 30 minutes. Sweep up the baking soda and discard it after 30 minutes has passed. 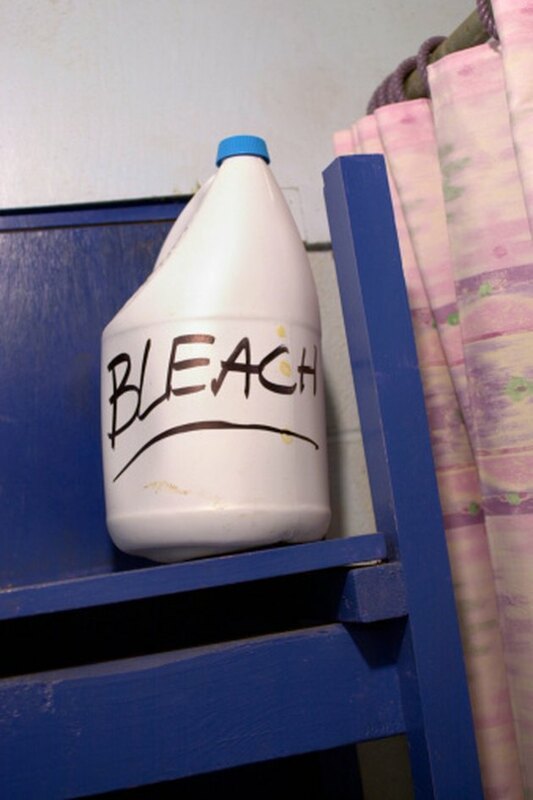 Make a 1:10 mixture of regular household bleach with distilled water in a clean bottle or container that has never contained any other chemicals. Some chemicals found in cleaning products can react unsafely with bleach. Pour or spray the bleach onto the area affected by the urine. Leave the bleach and distilled water mixture on the area for 30 minutes, allowing as much ventilation as possible. Keep family members and pets out of the room. Wipe up as much of the bleach as possible with paper towels and newspaper. 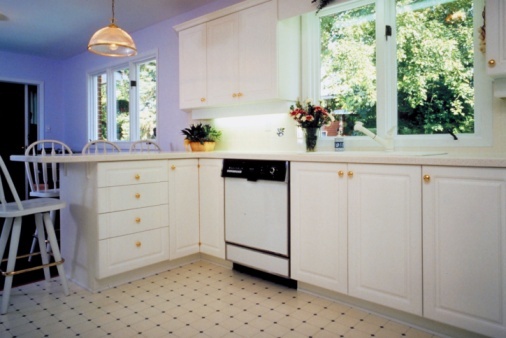 Clean the floor with water, a mop and regular floor cleaner after wiping up the bleach. Allow 30 minutes of ventilation before re-entering the room.